Once more into the vault my friends, once more into the vault. Step back in time, to a time when the modcast was young and fresh. Take a giant step outside your current listening constraints and journey with me all the way back to those oh so cold and rainy days of Winter 2010. I've opened up the vaults and dusted off a classic modcast that I think you'll enjoy. Again. 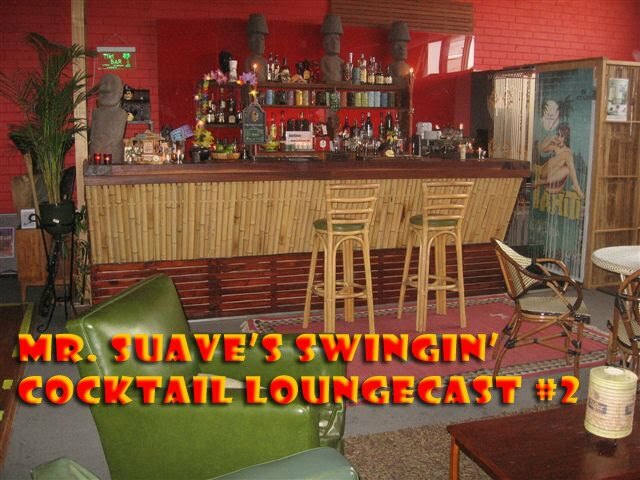 Welcome to Mr. Suave's Swingin' Cocktail Lounge which this week is filled with swank sounds top to bottom. 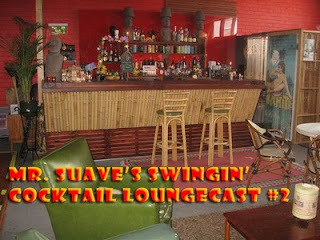 This week in the lounge I've got cool tunes from Swing Out Sister and James Clarke, got some exotic tiki music from tikiyaki orchestra and the Tiki Tones, as well as some seriously swingin' bachelor pad trax from Googie Rene and Eldee Young. To really set the stage, opening the show is the one and only, lounge legend, Les Baxter with the title track to his 1970 album Que Mango, arguably one of the best lounge album ever recorded. Since the sun is out and Seattle is sweltering I've mixed myself a batch of my special recipe lemonade and I suggest you do the same. Then sit back, put your feet up and just lounge around. P.S. 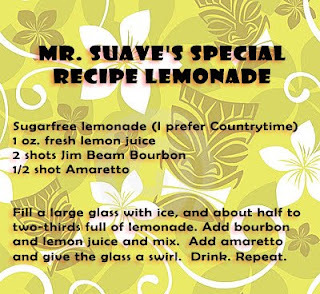 If you're looking for cool cocktail recipes, news and what not check out Waitiki International's cocktail blog, The Cocktail Journal. Thanks for the shout-out to WAITIKI and The Cocktail Journal! Okonkuluku!